Am staying on the case this morning of injecting pizzazz into spaces. No one does it better than actor and shop ownerÂ Tori Dixon White. 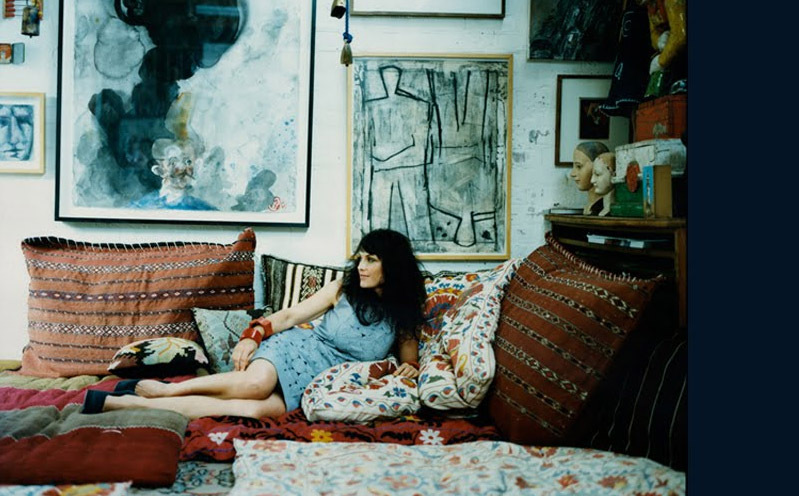 Her interiors are beautifully eclectic almost as if she has been pottering around the globe picking up great pices. Yet there is a incredibly laid back vibe to her interiors sophisticated without being stuffy. Do I need to sayÂ more, Tori’s artÂ hugely transforms this space. The heap of cushions make it the perfect place to hang out. Very jealous! 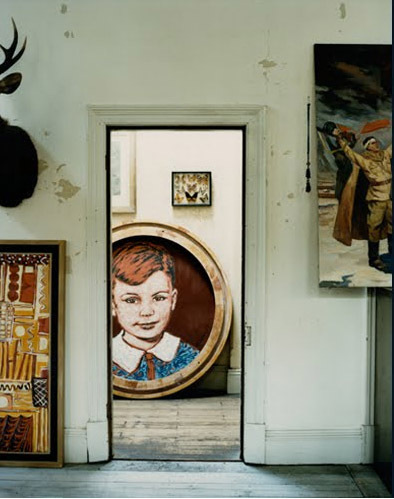 Eclectic, quirky and fabulous when you lean art against walls and rest it on floors you create a super laid back nest. 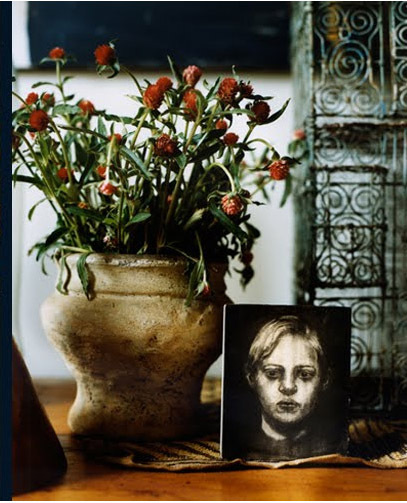 Forget that single piece of tiny art on a large wall with a horrid picture light over it (yuk I see it so many times ) and instead layer, mix up, hang, lean and most of all enjoy. The devil is in the details as they say and flowers faux or otherwise add oodles of personality. I am incredibly lucky with Columbia Road flower market being minutes away from my home so every SundayÂ I buy little posies and bunches of whatever is in season to embellish the dining table. Of course the faux flowers hang out everywhere else from the balcony to the garden (yep huge bunches of faux hydrangersÂ sit on my dining table outside) linking outside with in. Well must dash Maud is coming to work this morning and we have decided to walk in along the canal – here’s hoping there aren’t too many ducks. Maud isn’t so good with them.